Great news for Citation Sovereign (680) Operators. 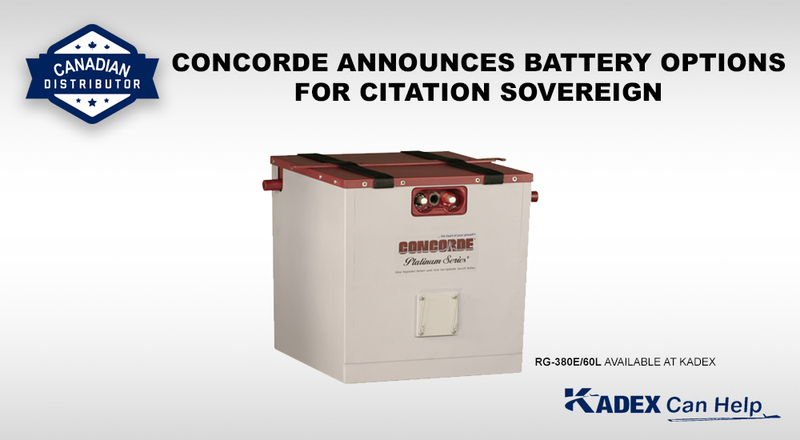 Concorde Battery has been granted Transport Canada Harmonization for installation of RG380E/60L and the higher capacity /53L sealed lead acid battery in Cessna Citation 680 aircraft. As a Sovereign owner/operator you can now enjoy the benefits and ease of maintenance that other Citation Operators have known for years. Concorde can deliver longer battery life, cooler starts, no risk of thermal runaway, and no freight hazmat fees. Conversion to lead acid is easier than you might think Contact a KADEX Sales Representative today to find out how you can upgrade your start power.